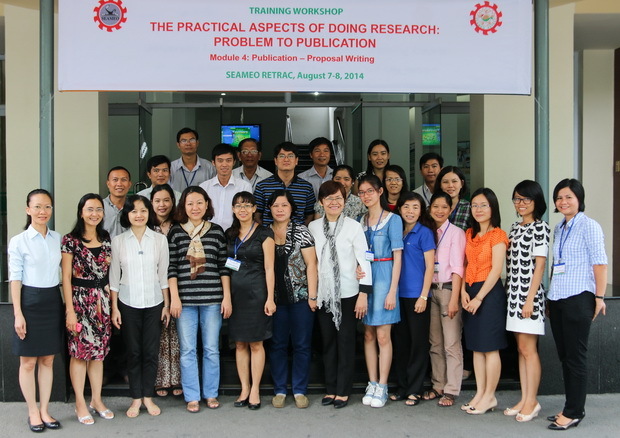 From August 07 to 08, 2014, SEAMEO RETRAC conducted the training workshop on “The Practical Aspects of Doing Research: Problem to Publication, Module 4 – Publication – Proposal Writing” for 30 lecturers and research fellows from universities and colleges in Ho Chi Minh City and neighboring provinces. 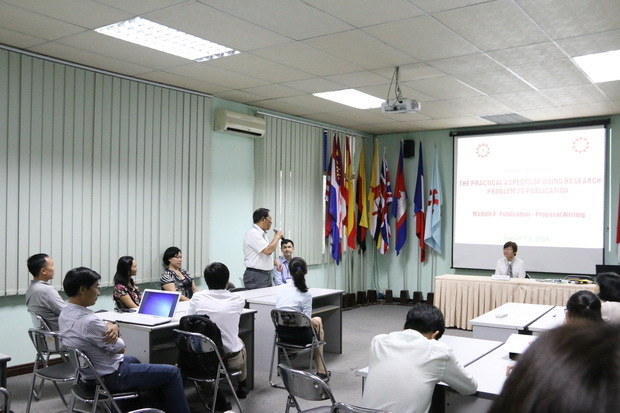 The workshop aimed to provide participants with the latest information about research, to develop and enhance the participants’ skills in doing research and to explore in-depth practical issues in this area. 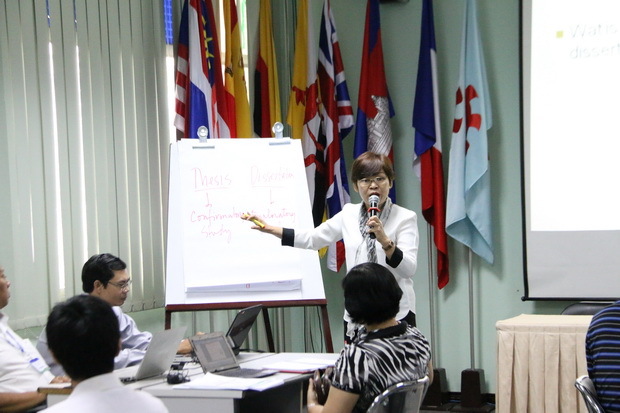 This module equipped the participants with deeper understanding about research report writing and proposal.